Whether traveling or living abroad, the last thing you want to worry about when you are sick is tracking down an English-speaking doctor. With MedinAction, you won’t have to worry ever again. We stand ready to deliver qualified English-speaking doctors to a patient’s doorstep, 24/7. We have been providing house call visits in Rome for over two years to travelers, students, and expats. This year we expanded our services to Florence as well. Now, we are headed to the capital of Lombardy: Milan, Italy’s second largest city and business capital. With nearly 5 million annual tourists and about 250,000 expats, thousands more will now have the benefit of our service. 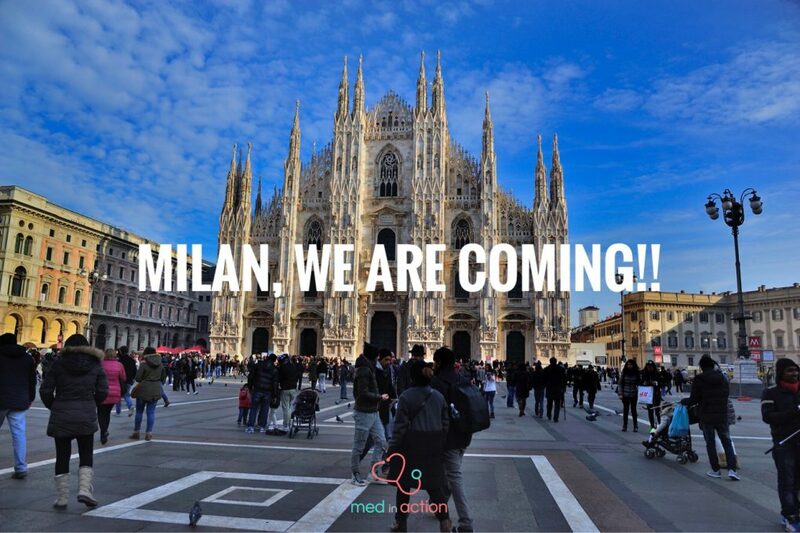 MedinAction can also alleviate the stress of the language barrier by serving as a liaison between you and Italian doctors . Should you find yourself in a public hospital and struggling to communicate, MedinAction can rush to your side and prevent miscommunication. Besides English-to-Italian, we provide Spanish-to-Italian translation services as well. Download our app and see for yourself how easy it is to request a house call visit. We aim to be there for you from the first contact, so you can chat for FREE with one of our doctors before booking your visit. Need more info? We would be happy to hear from you! Don’t forget to follow us on Facebook, Twitter, Google+, and Linkedin.